We are excited to announce our first ever FRIDAY NIGHT BALLERS. For many of the best players in the world, street soccer is what drove their passion and creativity for the game. We want to bring the street soccer mentality to our soccer culture at Real So Cal. 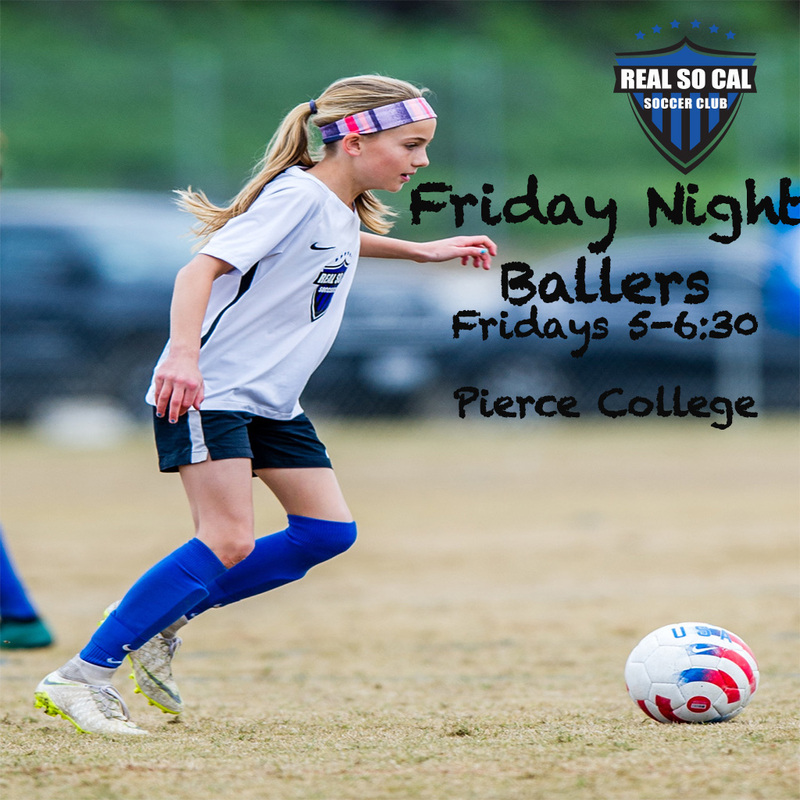 Starting Friday, March 22, 5-630pm, RSC will be hosting FRIDAY NIGHT BALLERS at Pierce College. This will be an opportunity for the players to play, compete, learn new skills, and show off their own individual creativity. AB, our club director, and select staff coaches will host FRIDAY NIGHT BALLERS. There is no charge to participate. (Registration is required. See link below.) Please get the message out to any friends who may be interested. FRIDAY NIGHT BALLERS is open to the entire community for all boys and girls 2007 - 2012. Please click the following link and sign up for our FRIDAY NIGHT BALLER program!